We had the perfect weekend! It was much needed and much appreciated. After a dinner date on Friday night and a "camp-out/sleepover" in our living room (where we were supposed to watch movies, cuddle, eat dessert... but I fell asleep before the movie even started, oops! ), we enjoyed a lovely Saturday. It included a long walk to and from Portland's Saturday Market. We were accompanied by sunshine, each other, and many attractions to be aired in tomorrow's post (stay tuned!). Today, it's all about "us" and how thankful I am that we got to spend such quality time together doing something new and enjoyable. It was short lived of course as Andrew had his first bat at the "night shift" for his preceptorship on Saturday and I had to head back to work on Sunday. We'll take every moment we can get though!! I hope you all had an enjoyable weekend and St Patrick's Day. PS- We remembered that it was on St Patricks Day that we shared our first kiss. 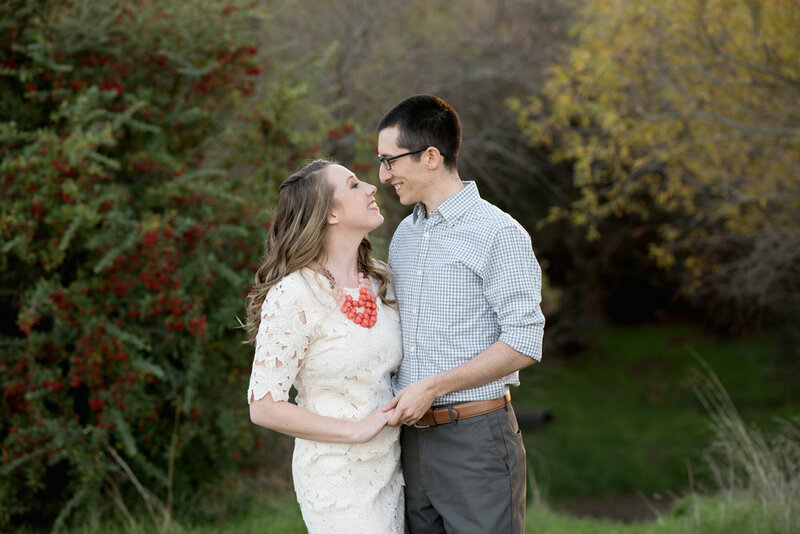 We waited a whopping 1 year and 8 months after we started dating before kissing! I'm so glad we waited so long as we were able to truly develop our friendship in a special way (besides the fact that we were such youngsters). I love and respect my man to this day for being so honoring and patient toward me in every way. He's a true keeper!